A few weeks ago, this box of fabric came in the mail from Culcita Box. I put it on my shelf as a motivation. 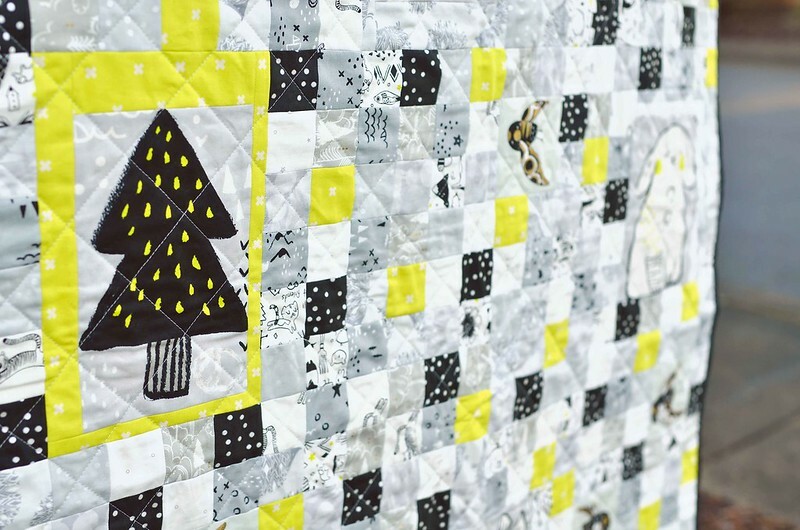 There were a lot of things on my to do list that I wasn't super excited about, so I decided that when I finished all of those things, I could make a quilt with the Sleep Tight fabrics. Once all of the boxes in the garage were (pretty much) unpacked, I put some photos on the wall, and I sent my new pattern off to my pattern testers, I got to play with these fabrics. I knew that I wanted to keep it simple and I wanted to keep as many of the images from the Toys print as intact as possible. I was just working with a fat quarter, but I was still able to get six of them. They are so cute! This collection has such a great variety of grays, they have just enough contrast with each other. And I love the detail that went into the fabrics. 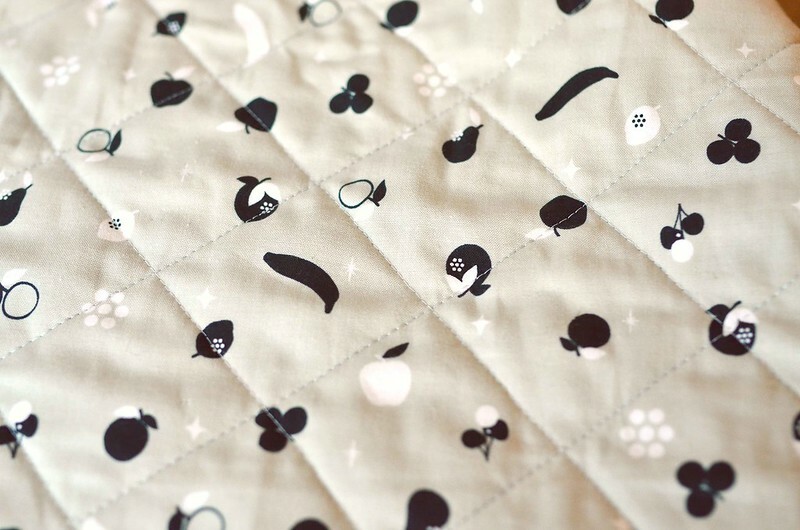 I backed the quilt with this Melody Miller Disco Fruit print that I picked up from the FabricCadabra sale (only $5.25/yard!). And bound it with a black solid. The quilt is now available in my Etsy shop. Finished size: 36.75" x 49"
What a cute quilt! 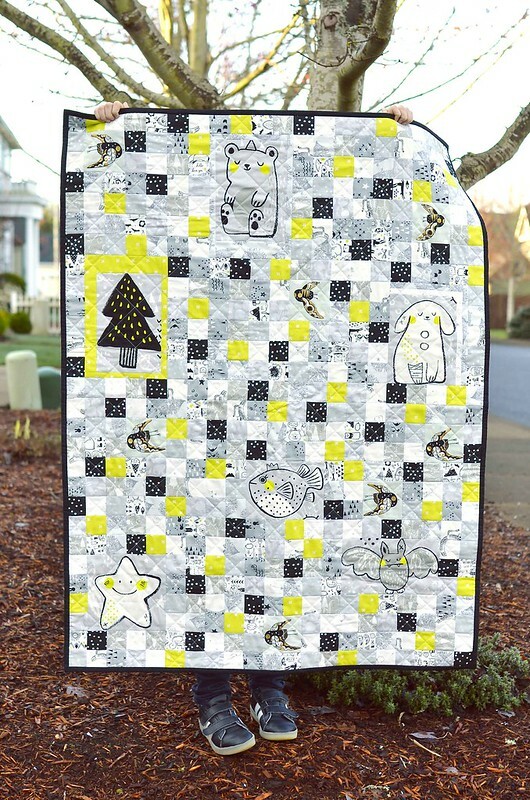 My favorite are those fun images or maybe the pops of lime green. Well, I like the black binding a bit much, too. 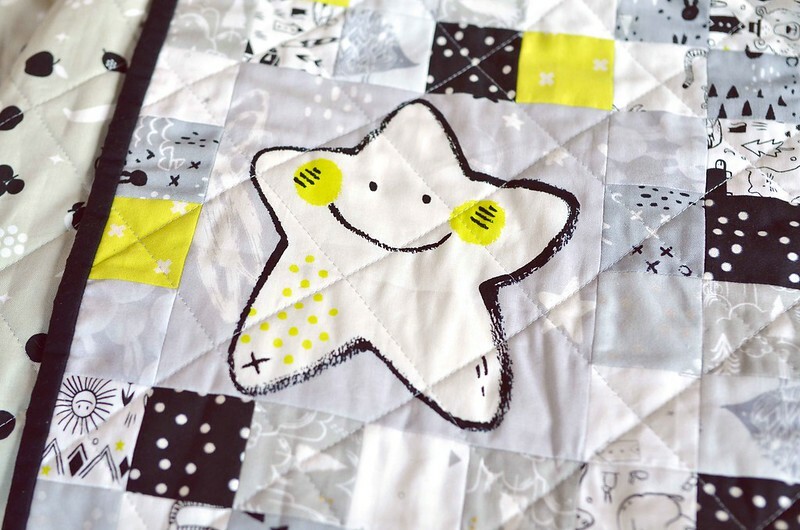 This might be an especially cool quilt for a little one. Absolutely gorgeous! I think you have done a fantastic job of using the fabrics. 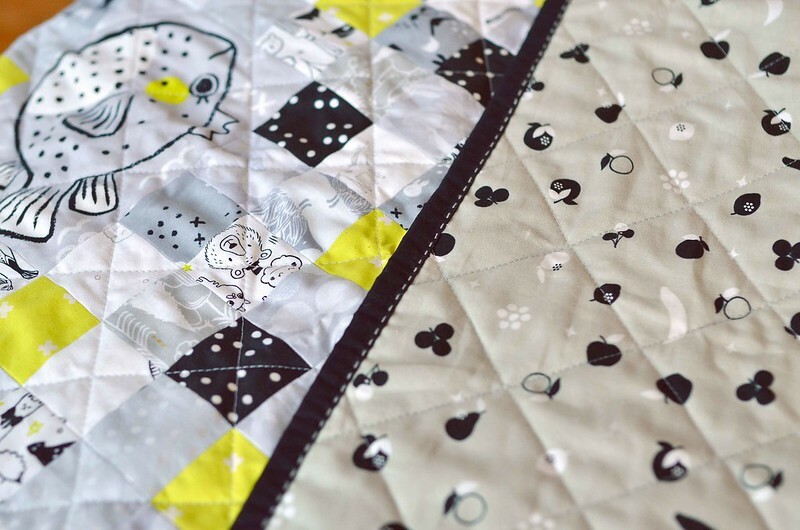 This just might be the cleverest baby quilt I've ever seen!